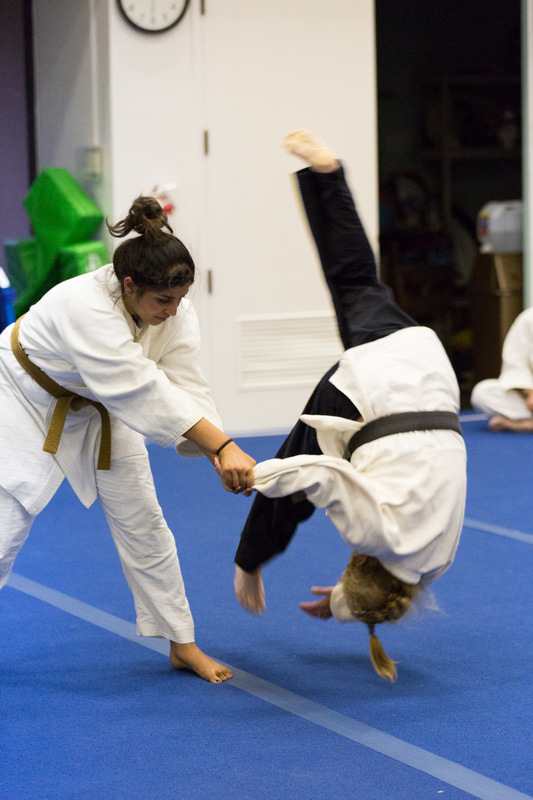 Tammy Webb started training under professors in late 1984, worked her way to Ikkyu, first brown in early 1989, then ceased her training for a few years. 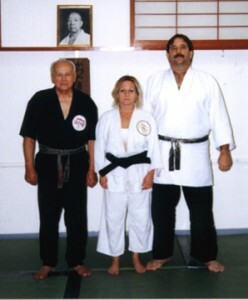 She returned to her training in June 1996. A year and a half later was able to test for Shodan. 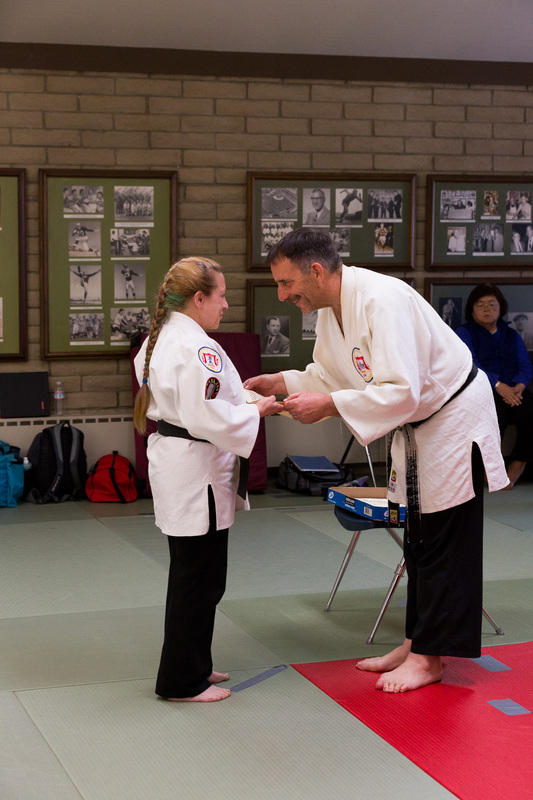 She performed excellently on her test, scoring one of the highest if not the highest on a black belt test in the last 15 years, scoring 707 points out of 770 points.Prof. 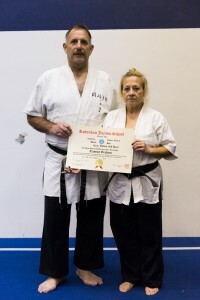 Kufferath commented that Tammy did very well, as she performed all techniques from Yawara, Nage, Shime, Oku, Kiai No Maki, Shinnin No Maki. She also was required to perform punch and kick defenses and a three man attack at the end of the test. 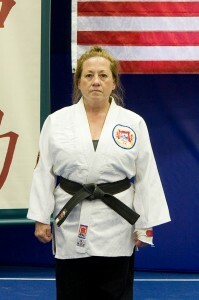 In this test she was attacked continuously by three men until told to stop. Tammy received her sandan in 2007, her yodan in 2014, and her godan in 2016.